Are you fit to migrate? Health checks are an essential step in the visa process if you are looking to migrate permanently to Australia but do you understand the importance of passing the medical test? And are you aware of the ‘one fail all fail’ system – whether a member of your direct family unit is migrating with you or not, they must undergo a medical screening and, if they do not pass the health test, your application can be refused. So while you may get a clean bill of health, an ‘unhealthy’ family unit member may jeopardize the success of your visa application. Australia screens closely for TB, Hepatitis and HIV/AIDS as well as other diseases and conditions that could affect the health of Australians, or that require medical services in short supply here. For more details download a fact sheet . Many permanent and temporary visa applications have been refused for medical reasons – including diabetes, obesity, kidney and heart conditions and most cancers. 1) You will be required to attend an Australian Government approved panel doctor to have the required medical examinations as part of the visa application process. And remember, that goes for your direct family unit members as well. 2) If you know that either you or a family member has a health issue, then you can have your health status analysed at the beginning of your migration process. It is possible to get a medical opinion on the likelihood of passing the medical screening from an Australian consulting medical practitioner familiar with the Australian visa medical requirements. Instead of waiting until the end of the process – after all the time and money has been spent –get the advice at the beginning, saving expense and heartache. In some cases, your health and the health of your family can be improved with a change in diet and correct exercise – helping your chances of a successful migration. 3) Depending on the visa category in which you intend to apply, a health ‘waiver’ may be available, making it possible to obtain a visa despite having a listed disease or condition. 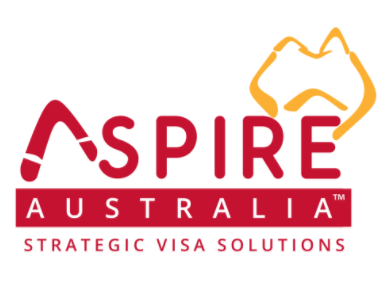 Aspire Australia can help you plan your visa application process – including helping with obtaining a medical opinion – so that you have the best chance of successfully fulfilling the requirements and being able to start a new life in Australia. Call us now for expert advice.